It’s the start of 2015 and of course, a new year for Anime. 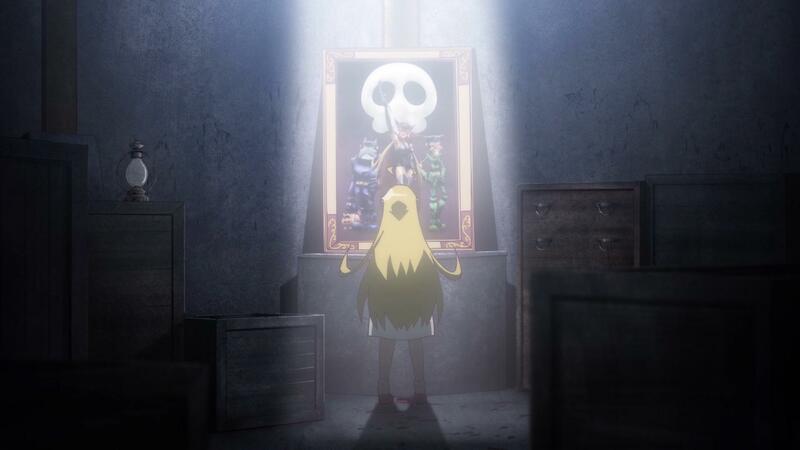 In this Winter 2015 season, it may be difficult to select exactly what shows you should watch out for since there’s such a wide variety to choose from. Therefore, after watching almost all of the series this season has available, I have composed this list of the best anime of the season. This list does include sequels, although it does not include Fall leftovers such as Log Horizon 2, Your Lie in April or Parasyte -the maxim-. 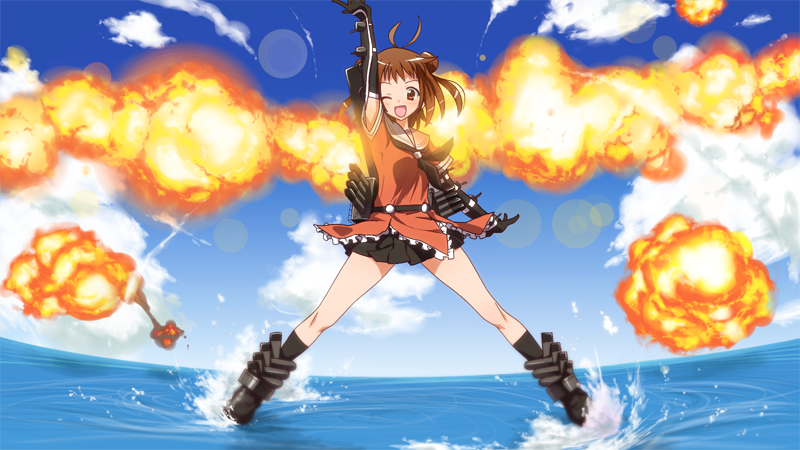 Kantai Collection offers one of the strangest premises I’ve seen within the medium of anime altogether. Adapted from a Japanese web browser game, we follow a group of girls known as “Fleet Girls” who have inherited the spirit of fallen World War II battleships. Yes, that’s right. Each character is based around a Japanese battleship that fought in one of the greatest wars in modern history. The anime itself is based around the idea that they need to defeat what is known as the “deep sea fleet.” The action is entertaining, the lighter slice of life moments are fun and it is truly an engaging show thus far. However, there is some off-putting CG animation and a pretty inconsistent tone in places. 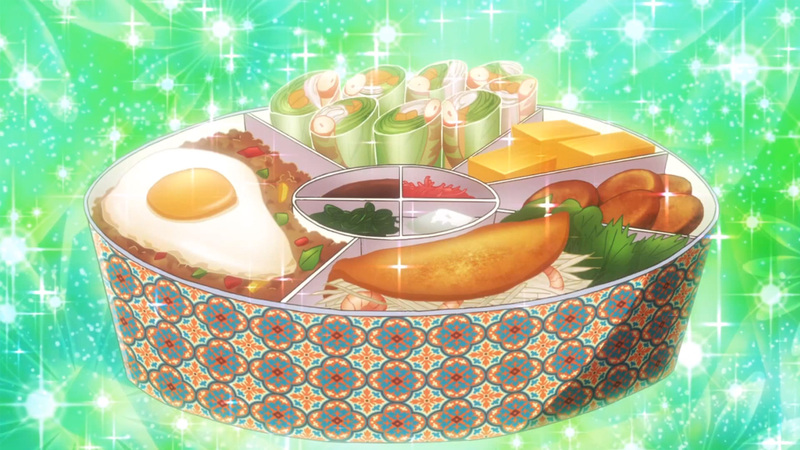 Some may say that the above image of a Japanese lunchbox known as a “bento” isn’t a good representation of an anime. But in this one, singular case, I think it works just fine. Koufuku Graffiti is the newest series from Studio SHAFT and director Akiyuki Shinbo, a true aesthetic madman. With a small cast of female characters, the show is set around the idea of the value of cooking and how eating together with the people important to you can make that meal so much sweeter. With charming characters, absolutely beautiful art and animation and food that looks delicious enough to grab right out of the screen, Koufuku Graffiti makes for a great watch. Do note that the plot itself holds little weight and there’s not a lot to the anime in terms of narrative substance. Director Kunihiko Ikuhara offers a very distinct style of film making within the medium of anime. With his previous works, Revolutionary Girl Utena and Mawaru Penguindrum, he showed off his eccentric style and unique sense of humour. His newest series Yuri Kuma Arashi once again re-establishes this with a story about a world split between the bears and the humans. With the entire anime consisting of puns and reoccurring jokes and visual comedy, it manages to entertain based on its style alone. 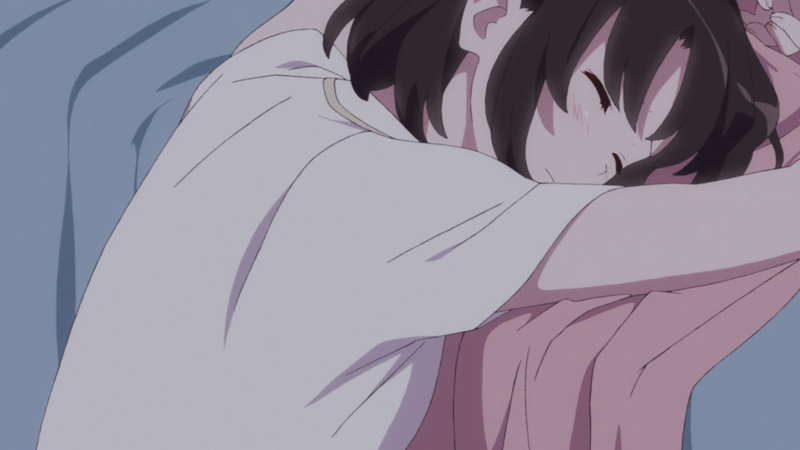 Then throw in a story about love between girls, a strong mystery element without the traditional tropes, and one liners that represent the show at each given time, and you have a great show that I’m looking forward to seeing play out. 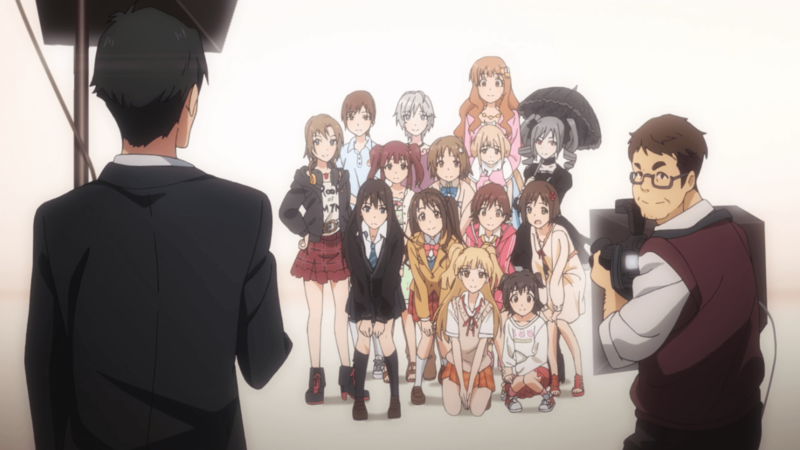 Like most idol series, the original iDOLM@STER series was largely popular, leading to the OVA series, Shiny Festa and the film, Beyond the Brilliant Future. Therefore, it should be no surprise that the adaptation of the iDOLM@STER: Cinderella Girls game was highly anticipated. We are presented with a large cast of prospective idols, all trying their hardest to achieve their own independent dreams and the show makes space for each of them. Unlike the original, we are introduced with each character periodically meaning that we get the chance to learn more about why these girls want to be idols and what makes them special. Assisting the main cast is the hilariously blunt Producer-san who works to make these dreams come true. Fun. Fun. Fun. Any questions? 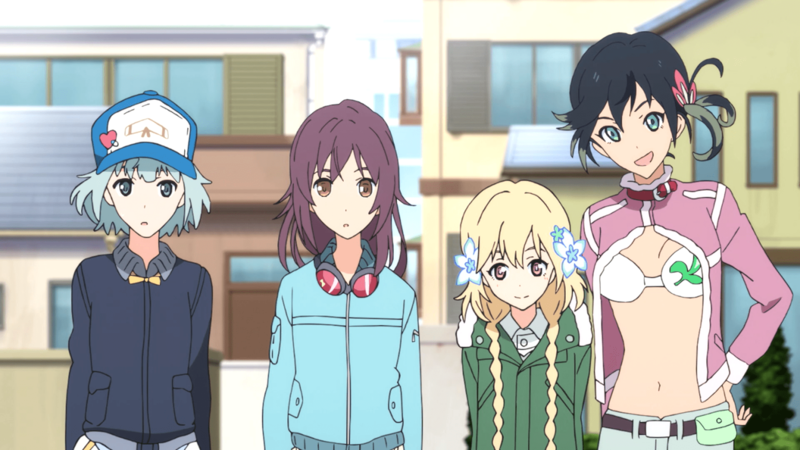 The Rolling Girls is an absolutely ridiculous anime that shows a Japan in the midst of territory wars with a fun and silly twist. Battles aren’t conventional in any sense of the word. Mechas, superpowers and power weapons are not at all out of place here. So our main cast has to travel the country to mediate these battles and there is no boring moment. Produced by one of the best studios in the industry, known primarily for their work on Attack on Titan and the film, Hal, The Rolling Girls is a visual masterpiece. A creature of immense power destroys the moon and threatens to destroy the Earth. What does it do next? Become a Junior High School teacher of course! 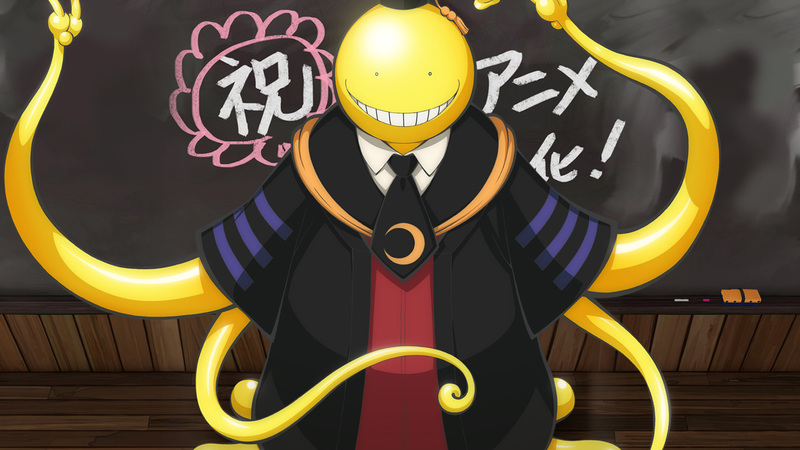 The alien-like creature known as Koro-sensei must be killed within a single year and the only people that can do it are his very own students. Yet, this anime isn’t so much about them trying to kill him than it is about the students themselves and how being given a goal helps them strive to be the best people they can be and appreciate themselves for who they are. It’s an incredibly valuable series with a valuable message all wrapped up in an odd premise and a comedic tone. In 1977, a kid’s anime named Yatterman aired for the very first time. Following our superheroes, Yatterman-1 and Yatterman-2, they fought off the evil Doronbo gang who were constantly trying to find the “Skull Stone” which was rumoured to show the way to the largest gold deposit in the world. The anime featured cool mechas and sci-fi superhero action and received a 108 episode run. However, now Yatterman Nights is here to somewhat reboot the series as it points us in this brand new direction. Instead of following the superheroes Yatterman-1 and -2, Nights follows the ancestors of the Doronbo gang, the villains of the previous anime series who must now defeat the previous heroes who have become corrupt. It’s a great twist on traditional superhero stories and the action involved keeps the style of the 1970s classic in mind every step of the way. 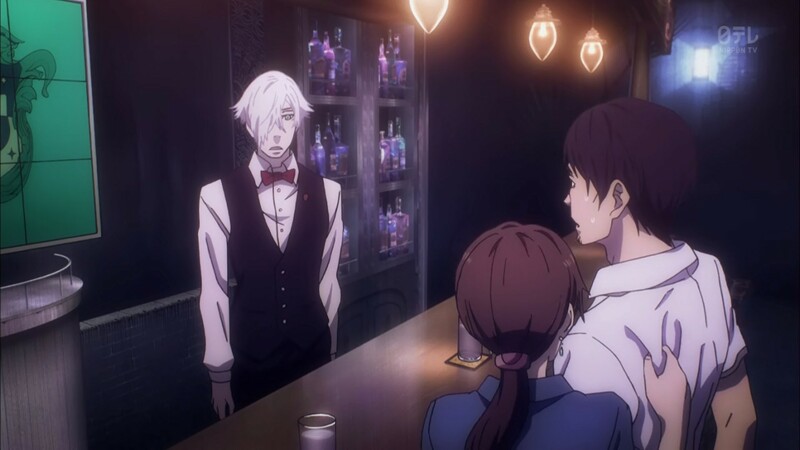 Death Parade was an anime that was highly anticipated by viewers of the previous short film, Death Billiards which debuted at Anime Mirai 2013. It’s a story about how people reveal themselves when put under life or death situations and how we judge their actions in these situations. Yet, it’s not so simple as that and is not simply a one trick pony as demonstrated by the second and third episodes. It shows that people are more complex than a simple plot twist as the idea of an afterlife is constantly re-interpreted. It’s a brilliantly interesting series that demands your attention and will keep you thinking. Saekano is exceeding its premise in just about every way possible. Following Tomoya Aki, an anime/manga/light novel obsessed otaku, he dreams of making a visual novel based on his encounter with a beautiful girl who he meets in an almost fairytale like scenario. Yet, when he finally he meets her, there’s none of the impact or glamour that he’s used to from his favorite anime series. The girl, Megumi Katou does not exhibit any anime-like personality tropes and is hilariously blunt whenever Aki tries to get her to react in the way he wants her to in order to create his dream visual novel. Everything in this series seems to blend together perfectly, with even the cinematography telling jokes within itself. It’s an interesting story with truly compelling characters that are all incredibly likable. Durarara!! got a second season! This is amazing news for any fans of the first season, myself included. Due to the light novel of Durarara!! ending, it was a generally accepted fact that a second season was an unreasonable thing. 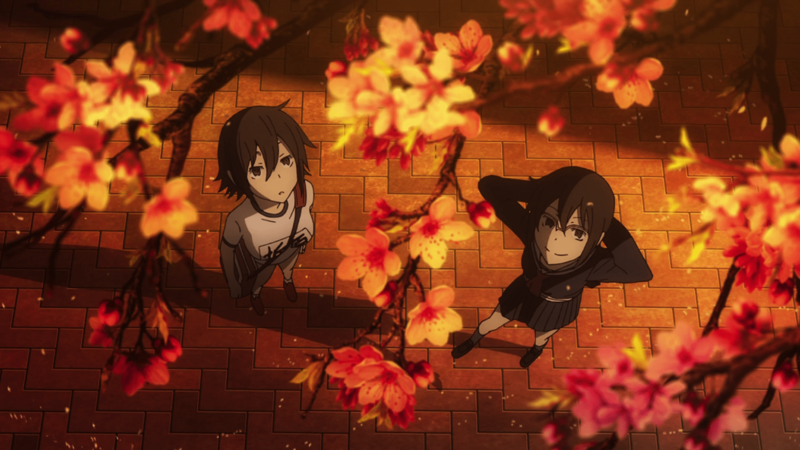 However, due to some amazing twist of fate, Durarara! !x2 is not only for one season, but for three separate seasons airing in Summer 2015 and Winter 2016 as well. Featuring the great characters of the city of Ikuhabara, this anime series embraces the idea of “It’s a small world” as we experience this brilliant way to tell a story that keeps this in mind. You might have two or three episodes all set on the same day from different perspectives and from that, we can determine the whole story. That is the world this series lives in.Durarara! !x2 returns with this style and a cast of even more interesting characters to make this series even more exciting. Welcome to the Year of Durarara!! If you haven’t seen the first season already, I would highly recommend it. Not only is it a brilliant series but the second season is looking to possibly be even better. Let me know what anime you’re watching in the comment section below.